The Man Who Fell In Worth! Apologies for skipping last week’s blog: A busy week vacationing in Miami, then another in Austin, Texas for the recent South By Southwest confab, kept me away from my computer and thus any means whatsoever for expressing rational thought! Major regrets? That I could not give the wonderful new David Bowie album the timely welcome it deserves, nor discuss the very notion of a new album by Bon Jovi, nor—worst of all—use Twitter to alert the masses that any particular artist was “killing it” in Austin! And now, of course, every living being in Austin is dead! Next year I’ll bring an iPad or something! Justin Timberlake: The 20/20 Experience (RCA) Perhaps it’s just me, but I cannot believe that anybody cares much at all about Mr. Timberlake–who seems a likable, mildly talented, good-humored fellow, but almost fascinatingly ordinary in his music-making. Like, what am I missing? A former boy-bander with a few slick moves, a bundle of distinguished friends who could make a toad sound commercially appealing, and a personal portfolio that now includes the newly-relaunched MySpace, which this album was clearly created to promote, JT now seems less a person than a business concept! While I’ve always firmly believed that people should not be judged on the basis of their musical taste, I tend to think those who actually take this charming young man seriously—at least in terms of his musical pursuits—might want to rethink their very existence! Luckily, a guest appearance by Jay-Z on “Suit & Tie” makes this the album of the year—in Stupidland! Like other Timberlake albums, The 20/20 Experience is audible! 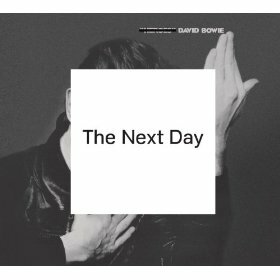 David Bowie: The Next Day (Columbia) Not just last week’s highlight but one of 2013’s very best albums, David Bowie’s The Next Day is a welcome relief: Years after the fact, one of pop music’s biggest icons has it within him to create a substantial work every bit as significant as his past triumphs that is highly musical, eminently catchy, wonderfully arranged, and—no small thing—as adeptly sung as anything he’s ever done. With all due to respect to Lou Reed, Leonard Cohen and Bob Dylan, who continue to record with vocal ranges now reduced to a half-dozen (low) notes, Bowie here sounds precisely like the same man who sang his 1970 masterwork The Man Who Sold The World; that, and the fact that the material he’s singing sounds as equally fresh and varied, means that The Next Day is little short of astonishingly good. One of the year’s biggest surprises and, to my mind, the best so far. 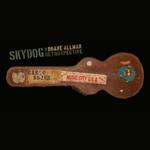 Duane Allman: Skydog: The Duane Allman Retrospective (Rounder) A marvelously comprehensive reissue that does all it sets out to do in loving detail, Skydog documents the remarkable, short-lived career of guitarist Duane Allman from his very earliest days, through his stints as a session player, through his work with Derek & The Dominos and, of course, through the much-loved Allman Brothers. While his work with the latter has been studiously reissued—and of course deserves all the love accorded it—it’s the music outside that group, never so methodically compiled, that’s really the big win here. 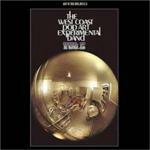 Between his earlier groups the Escorts, Allman Joys and Hour Glass, and the session gigs with Arthur Conley, Boz Scaggs, Clarence Carter, Johnny Jenkins, Lulu and so many others, a massive, pointed picture of a giant talent is eloquently documented in a loving, massive tribute that functionally, in the annals of box-setdom, has very few precedents. 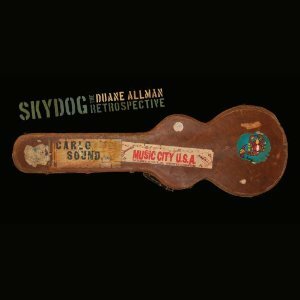 Highly recommended, and hopefully to be on the receiving end of a few awards next time the Grammys roll around. Karl Bartos: Off The Record (Bureau B) While the works of German bands like Can and Tangerine Dream have been duly appreciated and fully explained to the masses, and the even more famous Kraftwerk recently lauded at the Museum Of Modern Art, the latter’s rare recordings and deliberate reclusiveness have made the notion of hearing anything even remotely resembling the-grandeur-that-once-was a near impossibility. Yet here, unexpectedly, from former (1975-1991) Kraftwerk member Karl Bartos, comes an album that charmingly evokes the glory and inimitable Dadaism of his former band. Pulsing, rhythmic, deceptively simple and, not insignificantly, slyly humorous, Off The Record is a low-key but highly appealing treasure, and a worthy reminder of the greatness of Kraftwerk’s understated legacy. 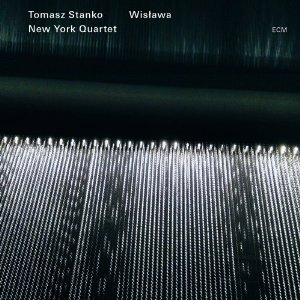 Tomasz Stanko/New York Quartet : Wislawa (ECM) A 2-CD set of exquisitely played modern jazz headed up by Polish trumpeter Stanko, Wislawa features 12 contemplative, exploratory compositions bolstered by the highly attuned accompaniment of a top-notch rhythm section (Thomas Morgan and Gerald Cleaver) and pianist David Virelles. In some ways evoking the spirit of late-‘60s Miles Davis, Stanko’s trumpet is at times stark and eerie, at one with the sophisticated material and passionately driving it forward. Intuitively played, thoughtfully paced and in the end highly rewarding, the album is a fine example of contemporary jazz played by artists whose obvious musical skills are matched by tasteful restraint and subtlety. The West Coast Pop Art Experimental Band: Vol. 2 (Reprise vinyl edition) Any chance I have to mention the very best album by one of rock ‘n’ roll’s finest groups is good enough for me! Newly reissued in colored vinyl, the 1967 set offers up many of the LA cult band’s best songs—“Suppose They Give A War And No One Comes,” “Smell Of Incense,” “Unfree Child” and “Tracy Had A Hard Day Sunday” among them—and sounds better than ever 45 years later. From its spectacular front cover—dudes at rest in a silver spray-painted bathroom—to its legend on the back– “Every song in this album has been written, arranged, sung and played by the group. No one censored us. We got to say everything we wanted to say, in the way we wanted to say it.”—this is a true pop classic still under-appreciated by the masses. On vinyl yet again? You can’t go wrong! 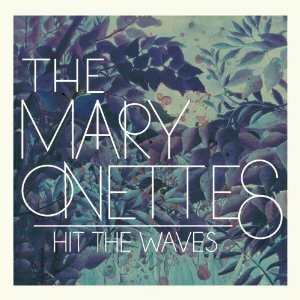 The Mary Onettes: Hit The Waves (Labrador) Out last week but reviewed this week—hey, I was in Austin trying on wristbands—Hit The Waves is the third album by this delightfully appealing Swedish “indie dream pop” band, and like it predecessors offers strong, melodic, slightly off-center tunes that seem to be the central focus of the Labrador label: Surefire pop hits from a parallel world. With great, relatable lyrics sung by one Philip Ekström, to music that is moody and upbeat often simultaneously, the band’s work is a great reminder that the Swedish pop scene often offers great Swedish pop! Quote me now! 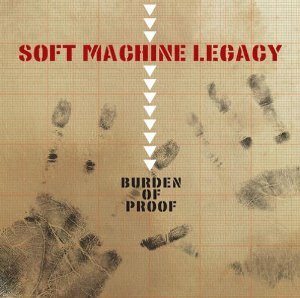 Soft Machine Legacy: Burden Of Proof (Moonjune) The 21st Century version of one of England’s most distinguished bands—Soft Machine, who arose in the mid-‘60s, changed players regularly, and eventually faded away in the ‘80s—is distinguished by the “Legacy” at the tail-end of its name and the fine musicians within, including former Soft Machiners John Marshall, Roy Babbington, and John Etheridge, and saxophonist Theo Travis. Carrying on following the deaths of Elton Dean and Hugh Hopper, the current quartet are heard here on their third studio set offering their same blend of sophisticated jazzy fusion, and it’s good going indeed. Featuring 13 tunes, including a cover of “Kings And Queens” from Soft Machine’s Four, the album is a strong, refreshing statement that upholds the band’s legacy, as their name would have it, without driving it into the ground, as cynics might fear. Highly recommended. Various Artists: Love for Levon: A Benefit To Save The Barn DVD (ATO) Available in all sorts of configurations—2 CDs, 2 DVDs, Blu-ray, combined—this superb set documents the 2012 Meadowlands Arena concert tribute to the Band’s late drummer and vocalist Levon Helm, a much-loved singer/performer with friends in the very highest of places. 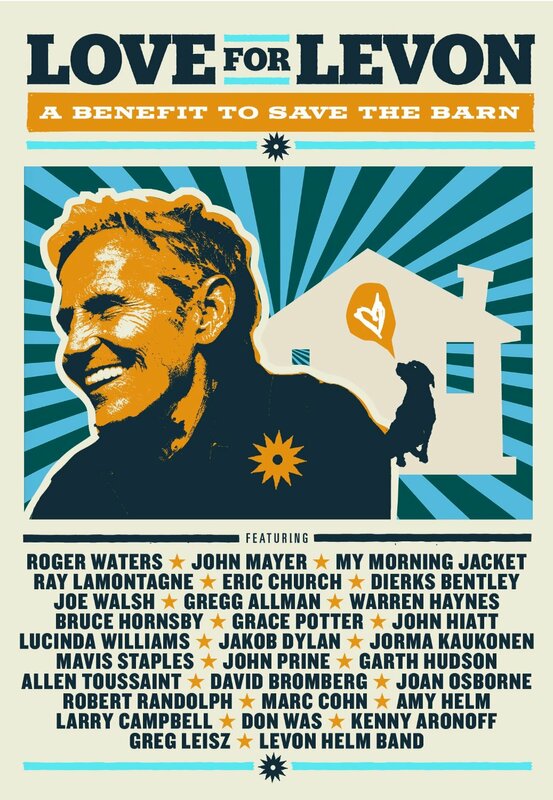 Among them: Roger Waters, John Mayer, My Morning Jacket, Don Was, Gregg Allman, John Hiatt, Allen Toussaint and…lots, lots more. Well-played and well-sung, and filled with startling affection for Helm–truly a musician’s musician, it would appear–the collection showcases close to 30 songs associated with the man and in its diversity is unexpectedly rich. Roger Waters singing “The Night They Drove Old Dixie Down”? Believe it. 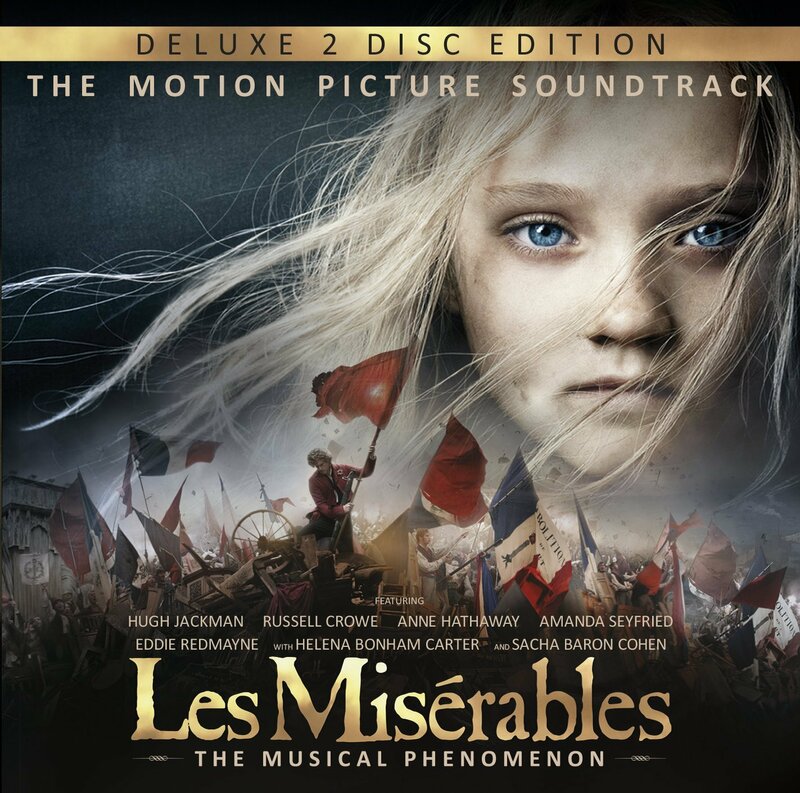 Les Misérables: Original Motion Picture Soundtrack (Republic) This might be a great place to discuss the new Bon Jovi album!